Hope you all had wonderful Easter celebrations with your families ! We had a very nice day and had wonderful weather ! We spent most of the day outside .. 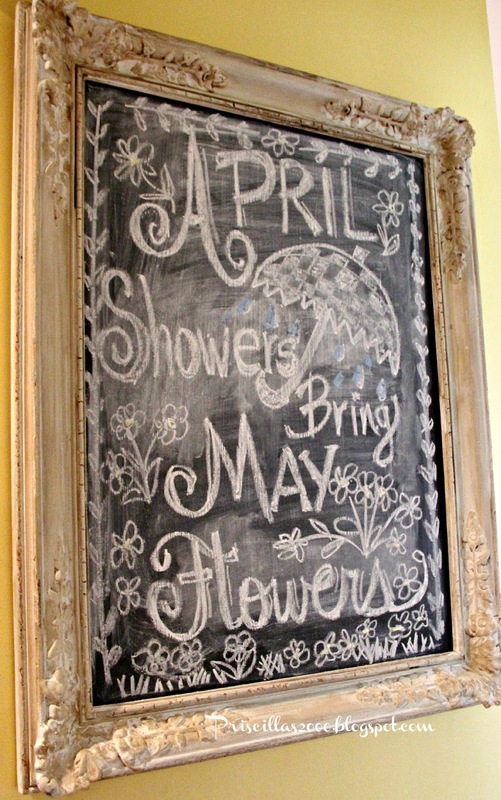 I needed to redo the seasonal chalkboard since Easter is over , so I decided to go with April showers bring May flowers. 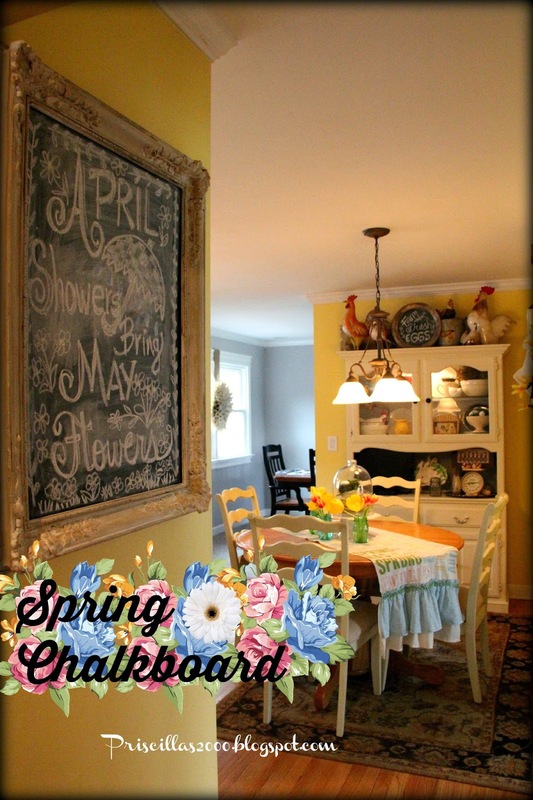 I figure I will keep it up into May and then change it to something patriotic for Memorial day..
You can see the past chalkboard designs : Easter .. Spring .. winter .. Christmas ..Fall .. 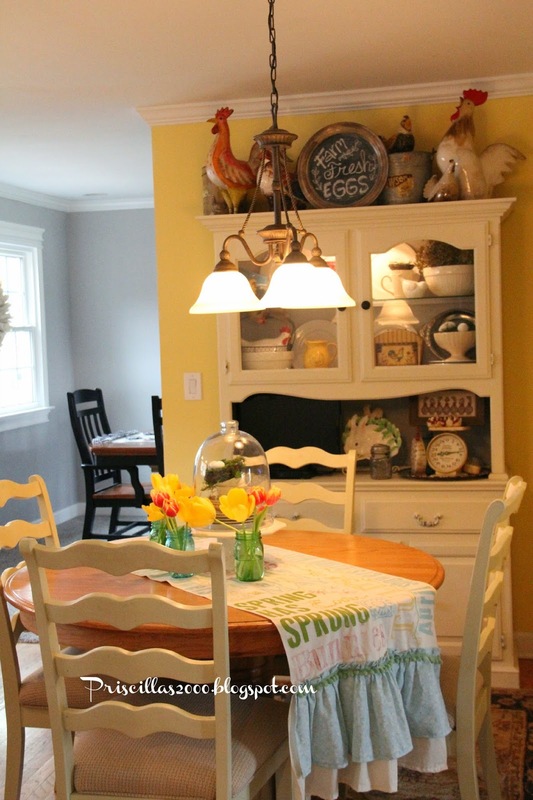 I am still loving the chalk painted hutch in the kitchen and wish I would have painted the oak years ago ! The inside is the same pale grey that's on the dining room walls and it looks so pretty lit up ! 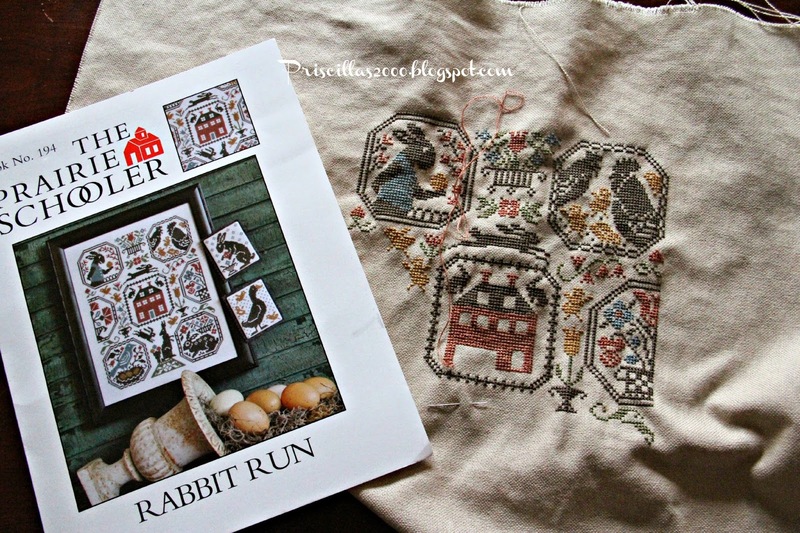 I was trying to finish up this Rabbit Run cross stitch from Prairie Schooler before Easter , but I just haven't had much time to stitch ..I had seen the chart and thought it was ok, then I saw someones finished project on Instagram and knew I had to stitch it ! Hopefully it gets finished before next spring ! My daughter and I walked to the new forest preserve trail last night and then walked the 2 mile trail with the dogs ..It was so pretty in there ..
Love the chalkboard art. I use ours for shopping lists so I need to find a new place for those so that I can turn ours in art. Your runner is darling - love the ruffles! i always look forward to the art you create on the chalkboard. 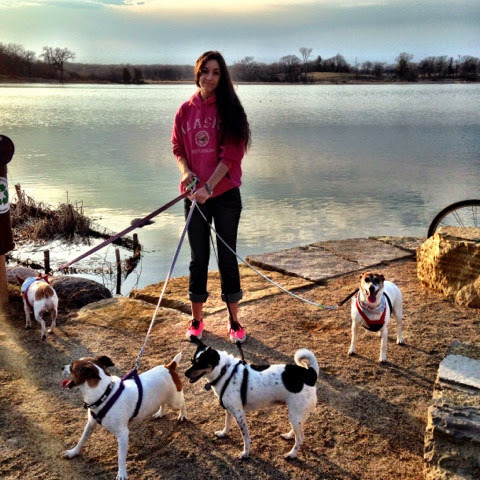 The walk sounds invigorating - especially with the dogs! Love your new chalkboard art. PS Rabbit run looks lovely, I've not seen that one before. 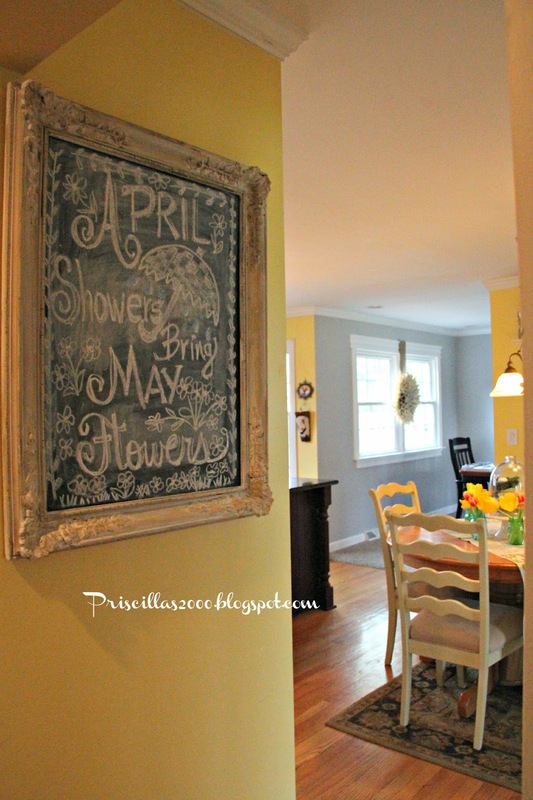 Love the chalkboard and you are so good at Chalkboard art too!! Such a cute new chalkboard drawing, too!! 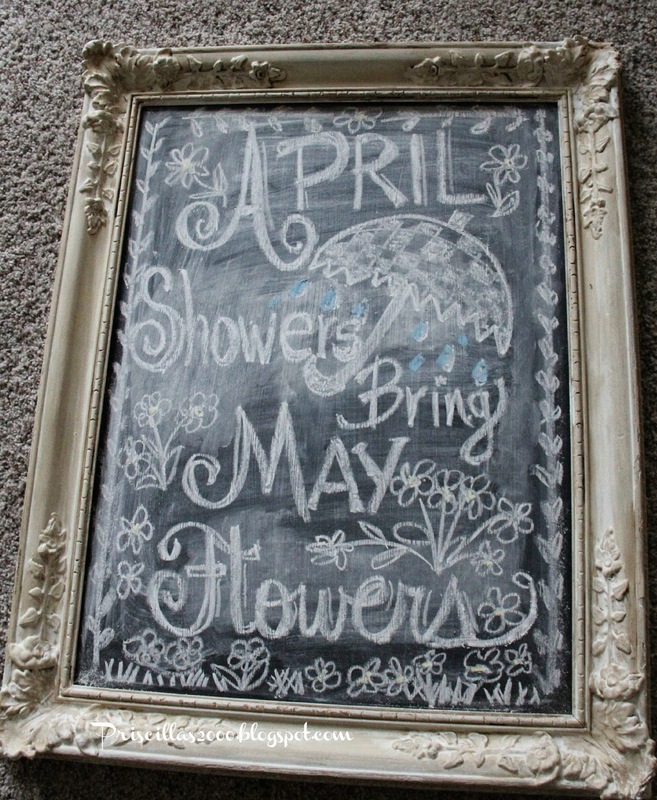 Sure hope that saying is true this year--after that long, cold winter we really need those May flowers! Your chalkboard always looks so cute, Priscilla! 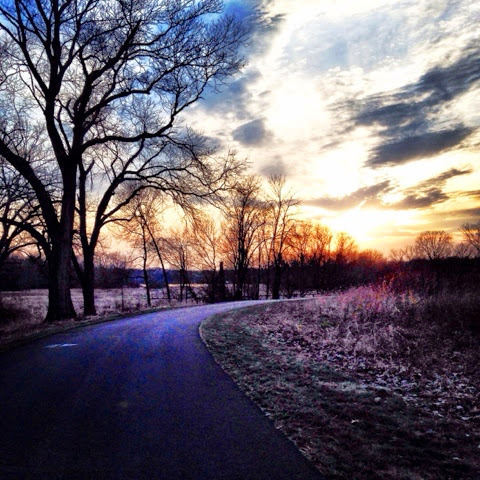 Thanks for sharing your post with Seasonal Sundays. Your chalkboard looks great! I am always afraid to draw on mine! LOL! Your chalkboard looks great, as usual, Priscilla! : ) Your Spring runner is so pretty but I'm looking forward to seeing the next one, too. 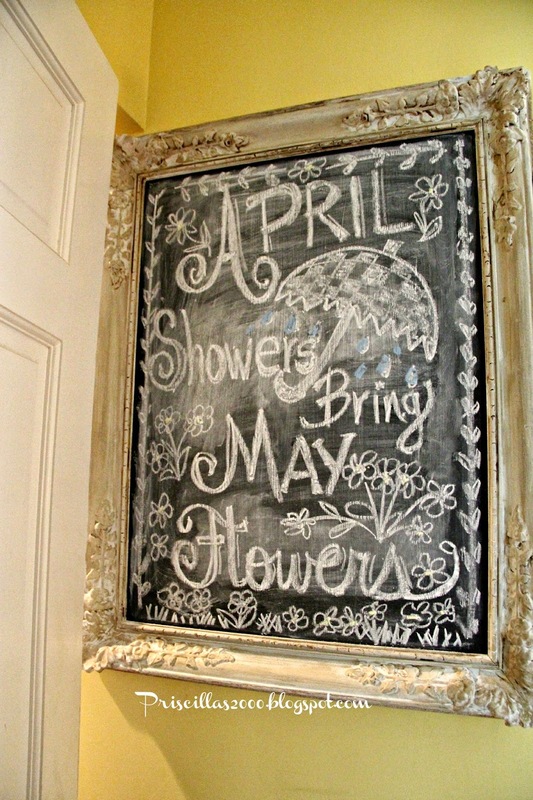 I've always loved that saying and your chalkboard art is wonderful! Can't wait to see what you do next. Thanks for sharing with SYC.